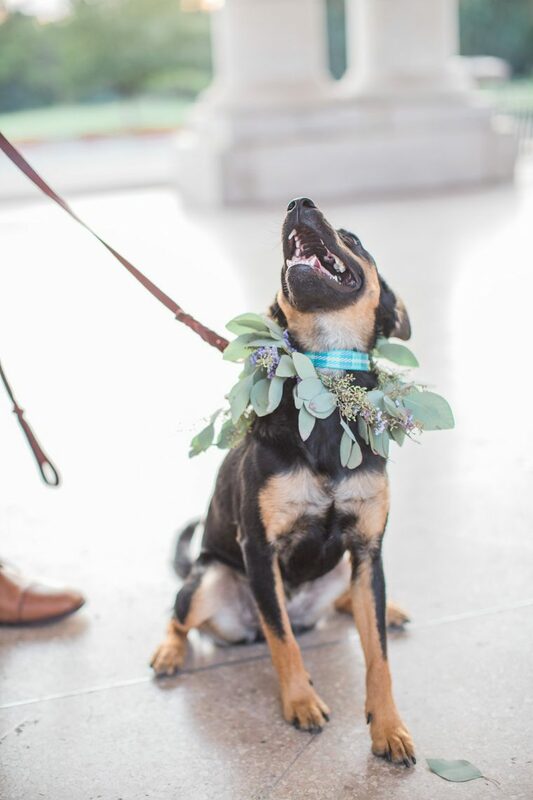 Allison was just the sweetest bride to work with, both when she found her beautiful wedding dress, and then again at our Sip + Style event with Sara Gabriel to find her perfect accessories! 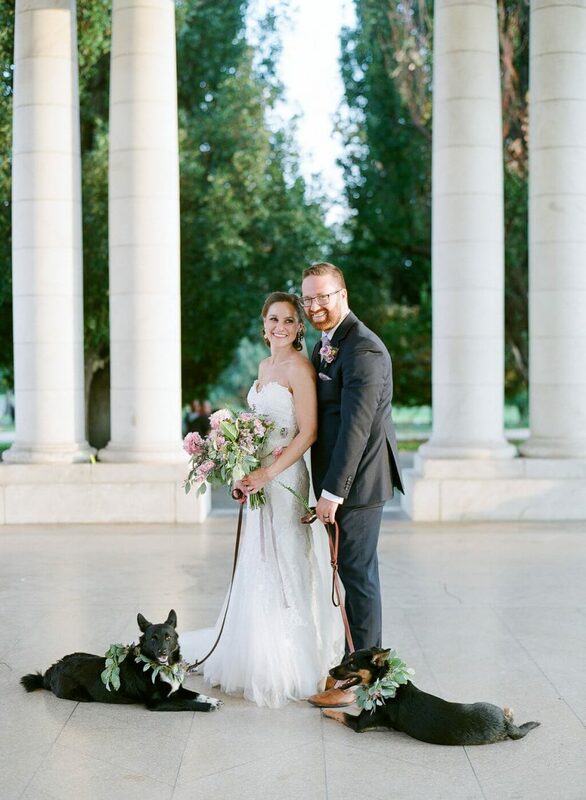 Her ceremony was in Oregon, but she chose to also have a more detailed photoshoot back here in Denver at the Botanic Gardens downtown to really highlight her bridal look. 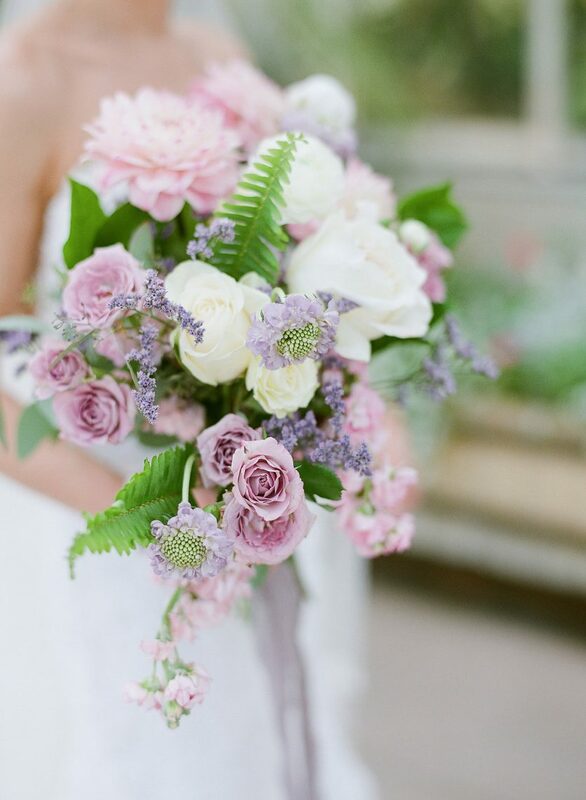 Her photographer, Michele with one L, has such an eye for detail and truly is so talented at capturing the most gorgeous moments of our brides! We were thrilled to hear that she would be working with her. Allison wore the Casablanca 2214, a custom-fitted trumpet gown with Swiss dotted lace that gracefully grazed the floor. 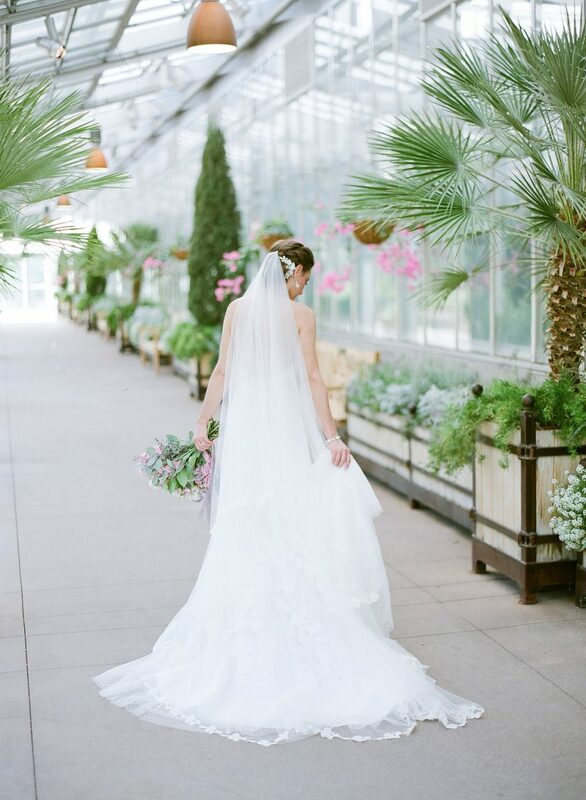 Her lace wedding dress featured a low-scooped back that stole hearts. 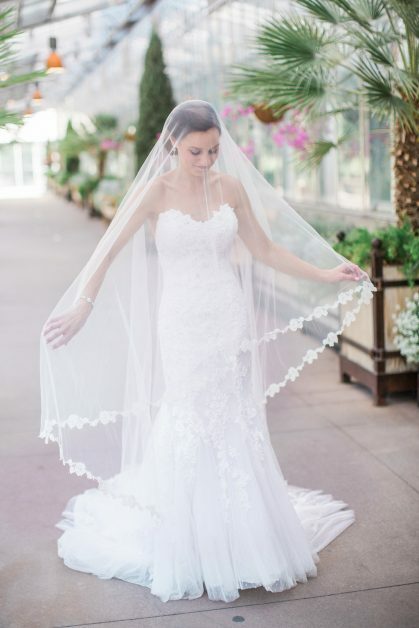 Her “Indie” veil by Sara Gabriel was the PERFECT addition to her dress; the Alencon lace matched flawlessly with the lace on her dress, and the perfect little sparkle on the edges complemented the glimmer in her gown. 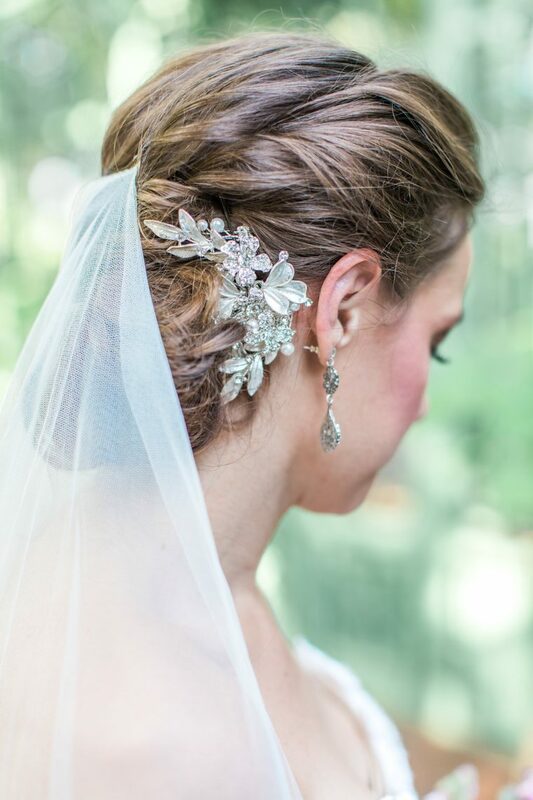 She also chose a custom comb from our private label accessories collection to have in her hair as a little extra sparkle for when she removed her veil. 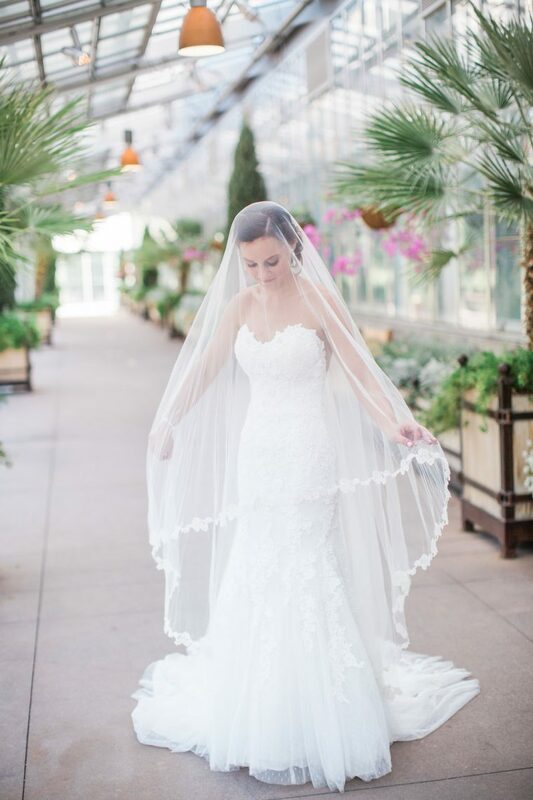 Whenever brides ask us why they should wear a veil, this is the ideal example to show some stunning ways to capture its beauty on your wedding day! We are so thrilled for Allison and Nikl, and we wish them a lifetime of happiness in their marriage. To shop her look and make it your own when you come in for your appointment at Blue Bridal Boutique!